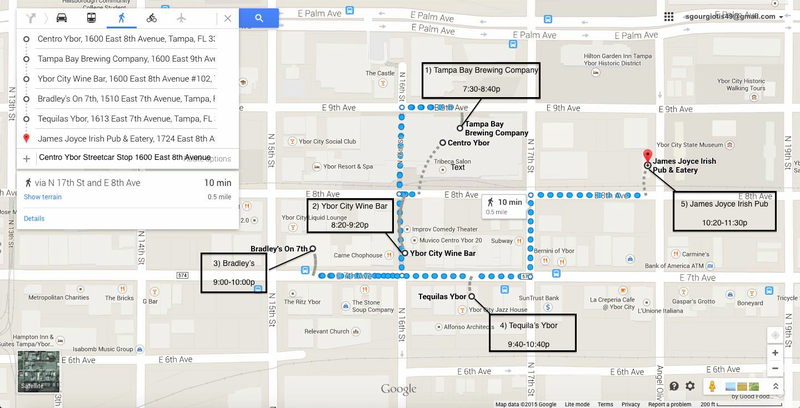 The CCCC Pub Crawl will take place in historic Ybor City. We will meet at the TECO streetcar stop at the Tampa Bay Convention Center on 21 March at 7:00p which will take us to Centro Ybor right in front of our first stop: The Tampa Bay Brewing Company. The streetcar costs $2.50 and runs every 20 minutes, so you are welcome to meet up with the pub crawl late or return to your hotel early at your convenience. 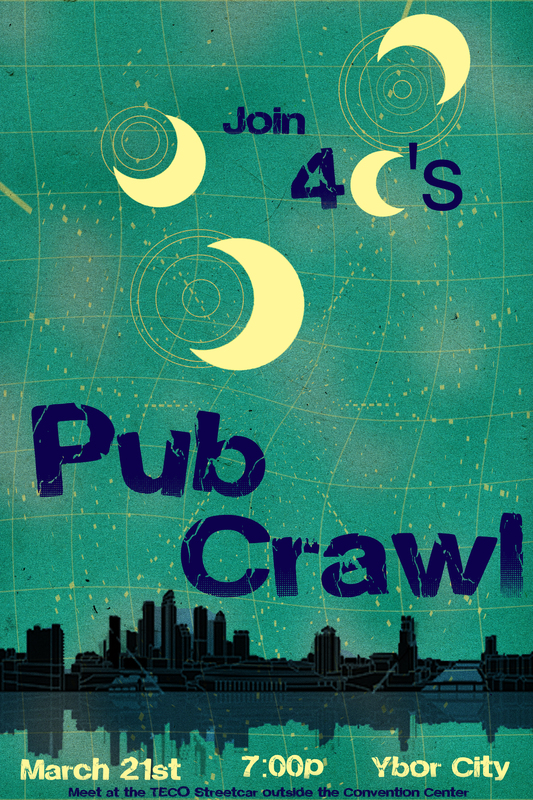 See the map below for a list of locations and the schedule for the pub crawl. The schedule is flexible to allow for personal preferences of the group and all pub crawl locations uniquely highlight the local color of historic Ybor City. We look forward to showing you our beloved Cigar City.